Here is some social media content about Jed, some professional at: LinkedIn, and some personal at: Facebook. There's also some historical professional information about Jed in this interview about his work at LLNL. A fun viewable content set about that work are these cartoons of the "LINCS/NLTSS Chronicles". If you would like to know more about me personally, feel free to link to my personal page. I also sporadically update sort of a running Christmas letter/"house page" that has pictures, family updates, etc. One of my hobbies is doing handstands in interesting places. Since 2015 Mr. Donnelley has been a Software Engineer, Senior Software Engineer, and currently a Senior DevOps Engineer for Guidewire Software where he leads the Guidewire Juggling Club. In addition to his work in government, industry, and in private business, Mr. Donnelley has taught courses on Mathematics, computer networking and computer systems around the world, has served as an expert witness on computer related matters, and has provided independent consulting services for numerous high technology companies. Here is a list of Jed's Publications. Some of these can be read directly from the web, including including these most significantly: A Distributed Capability Computing System - 1976, Components of a Network Operating System - 1979, and Delegating Responsibility in Digital Systems: Horton's "Who Done It?" - 2007. Computer and Communications Entry page - This Web index and search engine contains many thousands of indexed Web links organized into sections such as Companies, Standards, Media, etc. and is extensively cross referenced. Computer and Communications Link Page a loosely organized, hierarchally structured list of computer, communications, and general interest pages. Much like a Telecom leaning hot list with some structure. Trans-Ashby Committee for Traffic Calming (TACTC) A collection of documents and resources relating to traffic concerns in the Willard/Bateman area of Ashby Avenue near College in Berkeley, CA. There is a systems administration oriented resume (July 2015) here (PDF format). There is also a more detailed experience oriented but dated resume here (text). Jed received bachelors degrees in Physics and Mathematics (1970) and a masters degree in Mathematics (1972) from the University of California's Davis campus. During much of his early professional career he was involved in research and advanced development on computers and computer networks at the Lawrence Livermore National Laboratory (LLNL). Mr. Donnelley was the technical liaison for LLNL's ARPA network node (1973-1977) and a member of a team that implemented the ARPA network protocol suite at LLNL (RISOS - Research Into the Security of Operating Systems). During this time he published this ARPANet RFC. He was principle investigator for a Department of Transportation project that developed integrated techniques to access distributed databases (1977-1978). 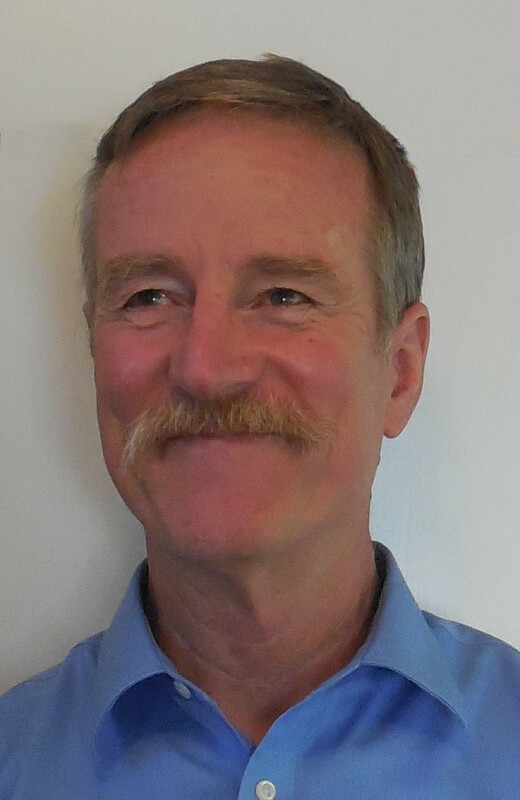 Jed lead the Local Network Research Project at LLNL where he did discrete event simulation studies of advanced network architectures (1978-1981). Between 1980 and 1988 Mr. Donnelley lead a group that implemented a microkernel operating system (NLTSS - Wikipedia entry) which supported the scientific applications that ran on the supercomputers in the Livermore Computer Center until 1994. He also worked between 1990 and 1994 as a staff member and gigabit testbed manager in the Advanced Telecommunications Program at LLNL where he worked with high speed communication technologies such as Fibre Channel, ATM, HIPPI, Sonet, Scalable Coherent Interface, and optical Wave length Division Multiplexing (WDM). Between April 1994 and April 1995, while on a professional research leave from LLNL, Jed worked in the Communication Systems and BelWü Development group in the Regional Computer Center at the University of Stuttgart on advanced networking technologies. Jed also worked for a time in the Engineering Record Center at LLNL providing Web access to a database of engineering drawings. Between December 1997 and Janurary 2003 Jed worked in the NERSC User Services Group as the Webmaster for the NERSC Web site. Between Janurary 2003 and July 2008 Jed worked as a staff computer scientist in the Networking, Security, Workstations and Servers Group in NERSC at Berkeley Lab. In September 2008 Jed began working for the MyPoints division of United Online, first as a contractor and then from May 2009 until April 2014 as a Senior Systems and Network Administrator. Since August of 2014 Jed has been working for Guidewire Software, first as a contractor sysadmin, then starting in September of 2015 as a Software Engineer, then in April 2016 as a Senior Software Engineer, and since September 2017 as a Senior DevOps Engineer. Last updated March 14, 2018.